Gastric cancer is the second most common fatal malignancy in the world. Its incidence is high in East Asia. Helicobacter pylori infection is an important factor in the pathogenesis of gastric cancer. Epidemiological studies have established a strong causal relationship between H. pylori infection and gastric cancer. H. pylori eradication is therefore likely to be one of the most promising approaches to gastric cancer prevention. Animal studies have shown that eradication of H. pylori infection, especially at the early stage, is effective in preventing H. pylori-related gastric carcinogenesis. 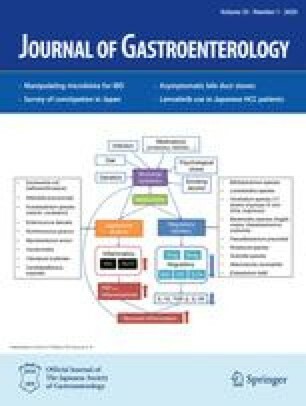 However, the available data from human studies show that H. pylori eradication does not completely prevent gastric cancer and that it might be useful only in patients without atrophic gastritis or intestinal metaplasia at baseline. Longer follow-up and additional studies are needed to clarify this issue.